Beach. Yoga. Bliss. Join Mike and Amy Dannheim for an unforgettable yogacation and surf escape to Blue Spirit in beautiful Nosara, Costa Rica on April 22 - 27, 2019. Six days of epic twice-daily asana practice, learn to surf or ride the waves, healing and transformative self discovery all wrapped up with luxury accommodations and delicious local and organic grub. This is the retreat to end all retreats and the best way to recharge and renew. Blue Spirit provides an extraordinary setting to all who are dedicated to spiritual transformation, personal development, and environmental sustainability. Perched on a hilltop that overlooks the Pacific Ocean and a three-mile long white sand beach that is protected as a turtle refuge – Blue Spirit offers an extraordinarily beautiful and natural setting on one of Costa Rica’s renowned beaches, supporting a deeply nurturing and unforgettable experience. 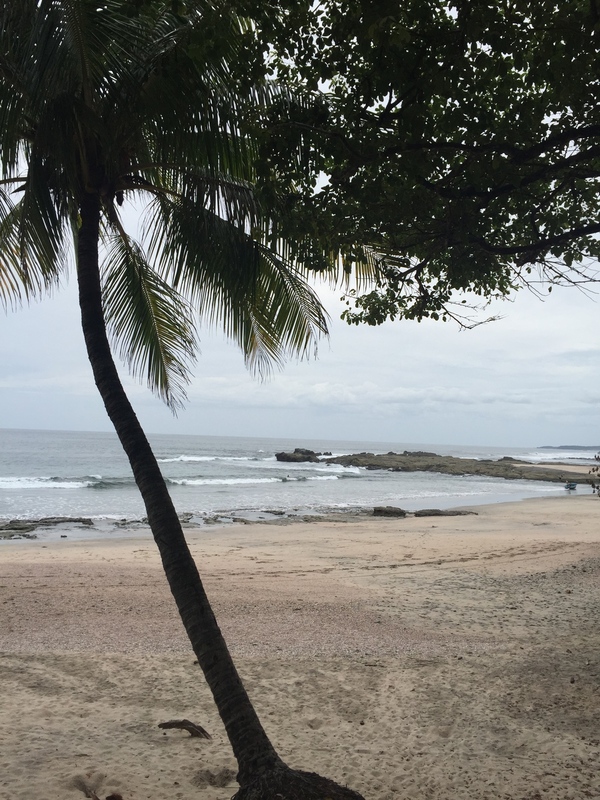 Guiones Beach offers great surfing to both beginners and advanced and the lush grounds are full of mango trees and coconut palms as you walk down to the ocean. Your stay at Blue Spirit includes three delicious consciously prepared meals a day. All meals are gourmet vegetarian and when possible, locally caught fish. The daily lunch and dinner buffet includes a Pure Food Option, which offers greens, grains, and legumes without oils or seasonings using food from local farmers and organic produce when available. OCEAN VIEW WITH A/C: This double room has a step-out balcony and beautiful ocean views. The room is tastefully furnished and provides the perfect space for two people. Each room can host king-sized bed or two twins, with a private bathroom with solar hot water and air conditioning. Single or double occupancy. Price is per person - single is one person in room, double is two people sharing a room. MOUNTAIN VIEW WITH A/C: This double room has a step-out balcony and large windows with an extraordinary mountain view. The room is tastefully furnished and provides the perfect space for two people. It can have a king-sized bed or two twins, with a private bathroom with solar hot water and air conditioning. Price is per person - single is one person in room, double is two people sharing a room. NATURE SUITE WITH A/C: If you desire more privacy, Nature Suites are very cozy and located on a hillside overlooking the lush vegetation. They are simple and natural wood frame structures and have private bathrooms with an outdoor shower overlooking the jungle. Each Suite sleeps two people and includes a separate enclosed porch with a desk. All Suites have solar hot water as well as air conditioning. The Suites are a short walk up the hill to the Main Building. Price is per person - single is one person in room, double is two people sharing a room. ECO COTTAGE: The cottages are beautifully situated in lush vegetation, allowing for a sensual being-in-touch experience with nature. They are simple and natural wood frame structures with screening for natural ventilation. Each cottage sleeps two people and a private bathroom with solar hot water and everything runs on solar powered electricity to provide a comfortable and ecological setting. The Eco-Cottages are situated below the main building and involve a short hike up a stone stairway to get to the main building. Price is per person - single is one person in room, double is two people sharing a room. New friends and amazing adventures! Retreat rates include all yoga, accommodations and food. If you would like to be placed with a roommate, please let us know and we will do our best to pair you up! 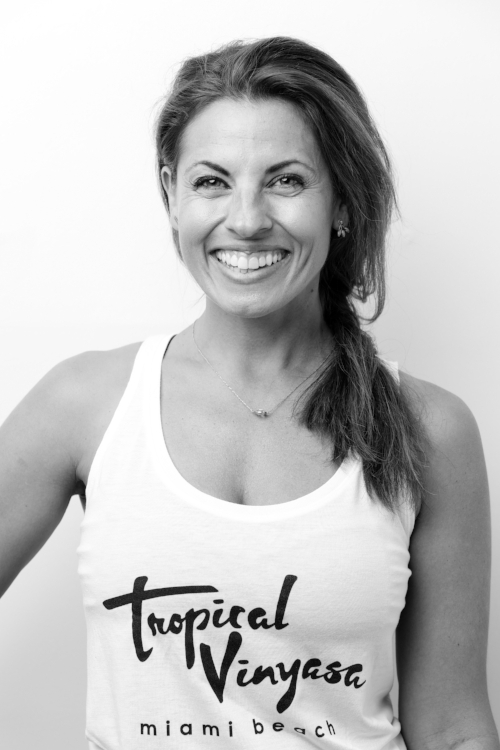 Email amy@tropicalvinyasa.com with roommate info. Blue Spirit is located in one of the world’s Blue Zones© which inspired the name Blue Spirit. According to author Dan Buettner, the Nicoya Peninsula is one of five Blue Zone’s in the world. A Blue Zone is an area where people live the longest and report the highest levels of well-being. While visiting Blue Spirit, you will feel the resonance of a vibrant, inspiring, and healing energy, in this rich subtropical environment. Your stay at Blue Spirit offers you a comfortable and elegant accommodation of your choice, delicious gourmet vegetarian cuisine, a salt-water infinity pool, koi pond, café, gift shop, spa and longevity services, outdoor excursions, and complimentary wireless service. Read more. Costa Rica is a destination internationally renowned for its friendly and genuine people and spectacular nature. While it may seem remote, Costa Rica is easily accessible from the United States and Canada, and attracts more eco-friendly and holistically oriented tourists each year. “Pura vida” is a characteristic Costa Rican phrase used both as a greeting or farewell, and as an answer to express that things are going well. Pura vida literally means pure life, however, the real meaning is closer to "full of life" or "this is living.” You will quickly see that pura vida is more than just a phrase – it is a way of life for the Ticos (Costa Ricans). You would be hard pressed to find a more friendly and welcoming culture. Costa Rica is not only known for its beauty and ecological tourism, but also as a country whose values reflect many ideals embraced by those of us interested in world peace, environmental preservation, excellent education, and a high standard of health care. Costa Rica is at the forefront of environmental stewardship in Central America. It is committed to a major initiative to decrease its ecological footprint and become a leader in the “green” movement. It is unique in Central America as it has the longest uninterrupted democracy, no standing army in more than 50 years, and a 95% literacy rate. The official language is Spanish, but many of the people speak some English, a required course in all schools. Even though Costa Rica is a small country, it has almost 5% of the world’s biodiversity. Much of the country is set aside forever into protected National Parks, wildlife refuges and nature reserves.